The Small Stone Phaser, originial built by Electro Harmonics USA is the Holy Grale of silky phasing FX for stringmachines. This is the phaser sound you know from Jean-Michel Jarre's famous albums. 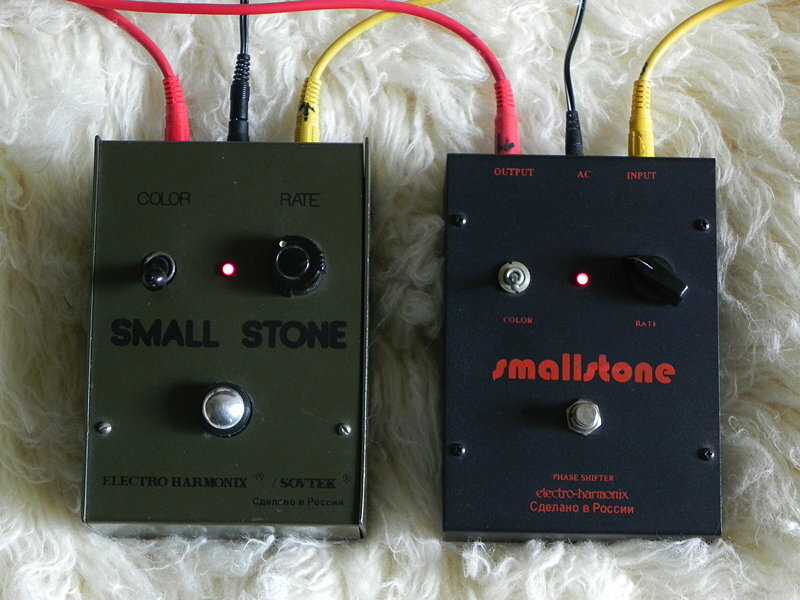 Mellotron Micro, and the Small Stones for string machines. Here you see two different version built in Russia.